Never before has there been such a versatile unit at such a low price. This timer has a bult in voice module that automatically gives the required command for the selected event. 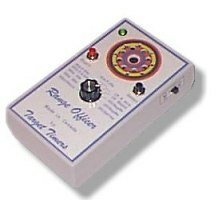 The on-board tone generator will give a 1/2 second long tone to start and a 1 second long tone to stop. The unit comes with volume control as well as an output jack for earphones. This output can be used to feed into the high input of a PA System. This feature allows you to run a firing line if the turning targets malfunction. Price: $169.00 US (plus $20.00 shipping (per unit) to continental U.S.
After loading your rounds, all you have to do is press start. The commands for the selected event will be given automatically. No load commands will be given.